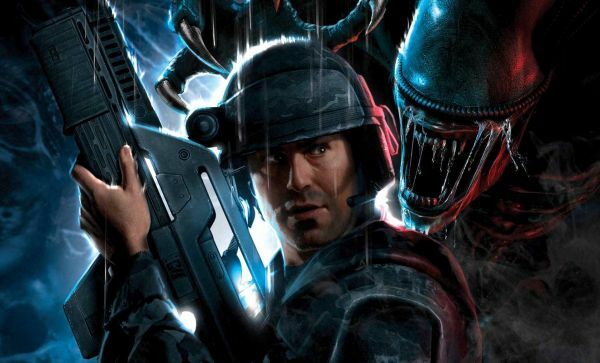 Recently we learned that the survival of Aliens: Colonial Marines depends greatly on the success of Aliens Vs. Predator. Fortunately for us, Gearbox's CEO Randy Pitchford is confident that Rebellion's Alien Vs. Predator is in good hands. Pitchford is also eagerly awaiting the day when Sega lets him loose, so he can tell us more of what's going on behind the scenes for Aliens: Colonial Marines - as many co-op gamers eagerly await that news! "Yeah, of course. I'm committed to it. I know there's been a lot of rumors, but I try to be above that stuff. Whatever. We're all in, baby! When Sega's ready, they'll cut me loose and I'll be able to talk about it!" Having Gearbox, the developer of the highly anticipated game, Borderlands, behind Aliens: Colonial Marines is very promising - and having such passion behind keeping this game alive is incredibly refreshing! While we're definitely excited for AvP, I think we can unanimously agree that Aliens: Colonial Marines is where the co-op's at.